The release of Mockingjay Part 1 is just days away and I can practically smell the oily popcorn and feel the sticky soda-covered theater floor. Fans of The Hunger Games have waited a whole year for this moment and now it's time to start prepping for the premiere. So I've compiled a list of 8 things every Hunger Games fan needs to bring to see Mockingjay Part 1. Like any good rebel soldier, you can't walk into battle (or the theater) unprepared. Whether you're hitting the midnight showing or just seeing it this weekend, (or both, because honestly you can't see this movie too many times) there are certain things you should never be without. After all, seeing The third Hunger Games installment is not the same as seeing an average movie. It's an experience all its own. Having been part of the Harry Potter movie generation myself, I've waited in a lot of long lines with other fans and it's definitely a different event than your usual trip to the theater. In fact, it's way better because you're surrounded by other people who really love the same thing you love. 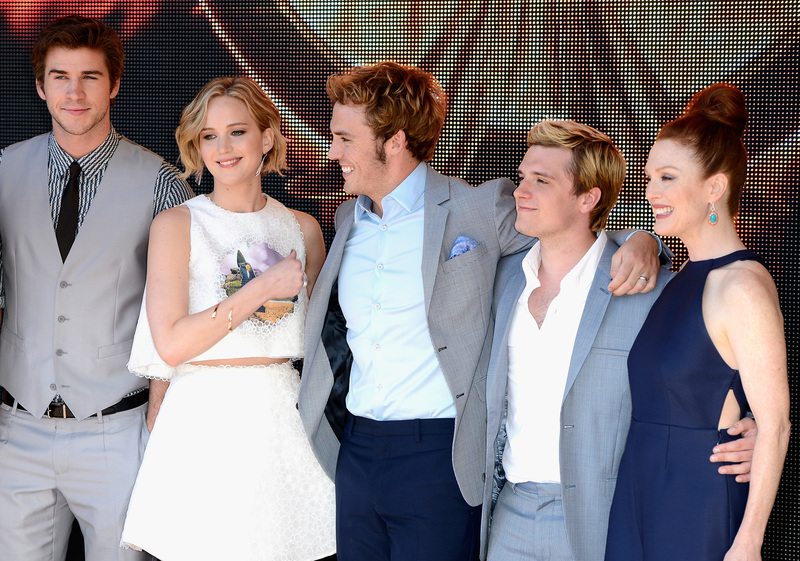 Think of this weekend as a mini convention just for the Hunger Games franchise. Pretty sweet right? And because Katniss wouldn't want you entering that arena unprepared, you need to bring these 8 things. You can even put them in an orange backpack like the tributes had, or leather hunting satchel if you're feeling particularly authentic. Before The Hunger Games, I admit I was ambivalent about bread. But after reading the books and watching the movies I've come to appreciate it in a whole new way. To the districts, bread is their lifeblood. Each one has their own unique kind, and it's what sustains them. Fresh bread is a luxury few can afford, and when they can, they savor every morsel. So, sneak your own loaf into the theater and you can enjoy the food right alongside Katniss and her crew. This movie is going to be pretty sob-worthy. Hijacked Peeta alone will probably cause you to use up a whole box of tissues, so pack a lot. It felt weird eating during the first two films because it was the Hunger Games, after all. But now that Katniss is in District 13 she's eating pretty regularly. This means you can enjoy a nibble or two without feeling too guilty. I recommend bread, of course. But beef jerky always reminds me of the books as well, since her small package of beef strips were essential to keeping Katniss alive in the first arena. If you're feeling really ambitious, sneak in a mug of the Capitol's lamb stew she loves so much. If you're doing the midnight premiere thing, you do not want to fall asleep in the middle of the action at, like, 1:00 AM. This happened to me when I saw the final Harry Potter movie and I will never forgive myself. Note to all: don't pull an all-nighter out of excitement for the film. It will backfire. Take a nap if you're doing the midnight showing. A lot of people are going to be flocking to the theater this weekend, which means you're going to have to show up early to get a good seat. Bring some things to keep you occupied while you wait in line. Perhaps bring the Mockingjay book to read so you can compare screen and page. Or you could bring the first two movies to catch up on all the action before the next film starts. I saw Catching Fire by myself which was a little bit of a mistake. It was so intense that it made me wish I had someone else's hand to grab onto, or someone to remind me to breathe. (To be fair, I hadn't read the book first so I was coming in blind to what would happen.) But even for those of you who know what's going down, it's going to be intense. A buddy can help calm you down, or commiserate right alongside you. Friends don't let friends see Mockingjay alone. Make your Mockingjay premiere a winner by packing all the right things ahead of time. If Haymitch was your mentor, he would be proud.